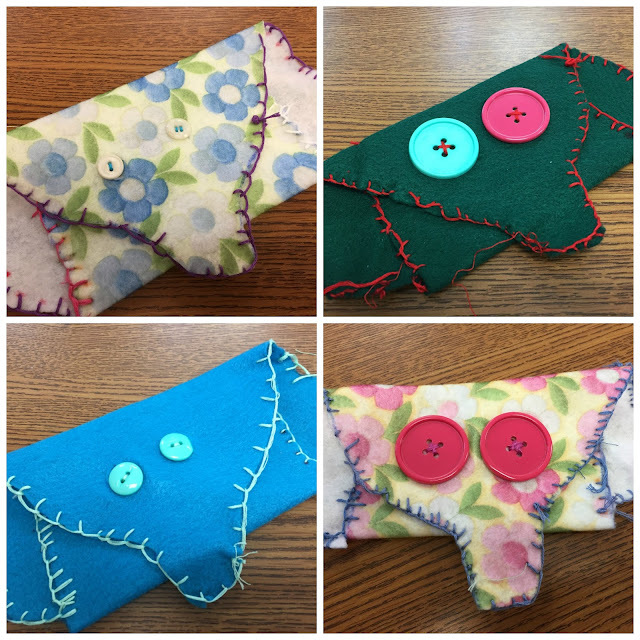 Val's Quilting Studio : My Class Fell in Love with Stitching! Such a cute project, and you've given them a taste of success with a new skill. Sounds like a big win to me. What a cute project! I think kids are just so excited with new things and much more willing to give it their all. what a fun project for the kids would love to have the pattern please though |I am not a kid! Awesome project and a great learning experience for the kids. Thanks for sharing. These are adorable Val. Thanks so much for sharing! So cute and such a great way to get kids interested in sewing! Such a cute project and how nice to see the children enjoying a little hand work like that. These little elephants are just the best! So much creativity and careful work put into each one. The button eyeballs just slay me!! How great that your little guys loved doing this project. You're such a great teacher, Val! What an awesome project! I love how excited they are, and that they want to keep sewing! The elephant is the cutest! Remind me what grade your students are in? I know you've said, I just can't remember. What precious little stitching projects! These little people are going to remember this for a long time! Such an adorable and fun project for your students. I love the story about the boy who took his home each night. wow what a great class project. I really feel that everyone should know how to sew. Fantastic project. The results are adorable! What a fun project! Those are so cute.